Good evening, my name is Kristen Kennedy and I have been a resident of Rochester Hills for over 7 years. I am here tonight to speak out against oil and gas drilling. Prior to becoming a homemaker I was IBM’s lead financial controller on their entire portfolio of oil and gas clients. So I am no stranger to this industry. Everything that has happened around the leasing of the city’s parks is suspicious. From the Christmas holiday season date the lease was discussed, to the oil friendly interpretation of the city charter, to never providing a clear business case, to the invite only informational meeting, to the missing work-in progress ordinances on the city website, and to the refusal to work further on ordinances regarding oil/gas drilling while neighboring cities Auburn Hills and Rochester do so. It is incredibly insulting that you have treated your citizens in such a dishonest, calculating way. Clearly you don’t understand your constituents well enough to know we are smart and are not going to believe every spin you have put on this horrible situation you have got us in! I’ve been coming to these meetings for months now so I know what will happen after we are all done speaking. Attorney Staran will do his best to discredit and defend every statement we have made without showing any compassion or interest in the fact that there is a room full of citizens with very legitimate concerns. I went to the emergency Shelby Township meeting last week and their city attorney sat openly answering every single question his citizens had. Heck, we can’t even get a town hall meeting after 7 months of asking for one! First million dollar question of the evening; what was the downside of taking a vote on such a serious issue? Why lease our parks without a vote when our charter specifically requires a vote to do so? Come on, you don’t think after the water tower fiasco and all the trouble we went through to amend the charter we wouldn’t want a vote on oil/gas drilling? That’s exactly why the amendment was put in place! We want to vote on what happens with our city parks because we can’t trust you and clearly you have proven that again. Attorney Staran the fact that you helped write this amendment and are now interpreting in another way…you should be fired sir! Clearly you did a poor job putting into place what the people or Rochester Hills hired you to do. Second million dollar question of the evening; what’s in it for you? Possibly a generous political contribution? No mayor and city council would sell their city out like you folks have if there wasn’t something in it for you! What you have done does not pass the smell test and all of you that voted deserve your positions recalled. You were not working on behalf of your constituents’ best interest. Once residents see a big oil rig go up you will never be elected again for anything. People will definitely make the connection between who they vote for and what they got! Finally the big picture; say we are unfortunate like Shelby Township and a big oil rig goes up, Rochester Hills will be ruined as we know it! Home values will significantly decrease. I know this because the people of Shelby could not give away their half million dollar homes right now if they tried. So basic economics tells us as home values decrease so does tax base and that leads to a destructive domino effect of city ruin. The tangled web you have woven and all for what? I wish I knew the answer. What I do know is Bryan Barnett you will be to Rochester Hills what Kwame Kilpatrick is to the city of Detroit! 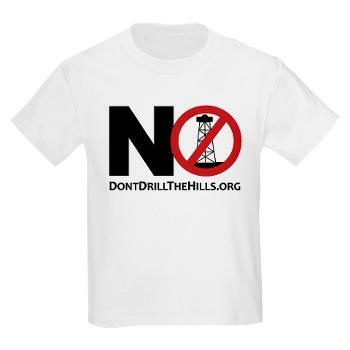 DON’T DRILL THE HILLS!!!!!!! Do you have something to say? Come to the Rochester Hills City Council Meetings. Even if you don’t speak, attend to show your support for those that do. Click here for meeting information. Although I now live in FL, Rochester Hills will always be “home.” Here in Collier County, FL we are facing a similar threat by an oil company that initiated a tracking operation adjacent to an environmentally sensitive Audubon preserve and the north end of the Everglades. Only through the combined efforts of citizens, the County Commission, and the FL Dept of Environmental Quality was the Dan A Hughes Co. deterred from using high pressure fracking techniques that threatened our unique ecosystem and fragile groundwater. Even now, I am not 110% convinced that we have heard the last of Hughes. If there is a dollar to be made and these companies get their foot in the door…watch out. I’m shaking my head…how on earth did this all gain a foothold in Rochester Hills?